Ben Thompson competes in races across North America. 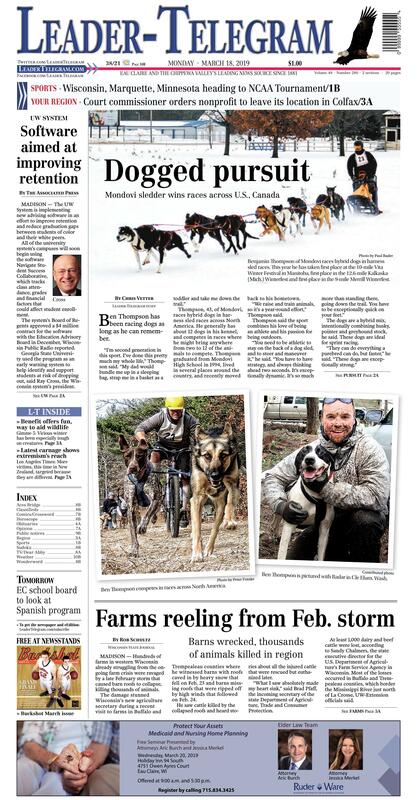 Benjamin Thompson of Mondovi races hybrid dogs in harness sled races. This year he has taken first place at the 10-mile Vita Winter Festival in Manitoba, first place in the 12.6-mile Kalkaska (Mich.) Winterfest and first-place in the 9-mile Merrill Winterfest. Ben Thompson is pictured with Radar in Cle Elum, Wash.